iPhone 3GS expected to be discontinued around October 2011 | T.i.A. | #1 iPhone News, Review and Accessory Source. With the release of the iPhone 5 reported to be this October, Apple Inc. is reducing stock and therefore the availability of the iPhone 3GS model. The news on the street is that Apple is gearing up for the two next-generation iPhones to be released later this year. One of them being a redesigned iPhone 4 and possible called the iPhone 4S and this is most likely to be a cheaper pre paid model compared to the expected iphone 5. In the global market share of mobile phone operating systems, the data provided by researcher Canalys stated that Google Android shared 32.9% of users worldwide, Symbian (Nokia etc) 30.6%, Apple 16%, RIM 14.4%, Windows mobile 3.1% and other 3%. This data was provided for the period of Q4 2010, and their website shows data and analysis compared to Q4 2009. We have some of our own data for comparison for mobile phone market share 2011, between the period of May 30 2011 and June 29 2011. For the region of Adelaide, South Australia, we have monitored our mobile devices web traffic over this period to find that 85.33% of site visits were from Apple (iphone, ipod and ipad) devices, 10.33% of site visits were from Google Android devices, 3% Symbian (Nokia etc) devices, 1.34% other. So in the Adelaide South Australia region, it can be see that the market share from our own research suggests Apple rules! The Apple data can also be broken up. Of that 85.33% market share, 82.42% were iPhone devices including 3G, 3GS and 4G. 12.89% were from iPad devices including the 1st generation and iPad2. 4.69% were from iPod devices including 1st, 2nd, 3rd and 4th generation iPod Touch. This is not a conclusive data, but it is the raw data taken from our mobile phone website visits. It does not take into account that iphone users are more likely to use their device to look up something on the web compared to Blackberry. It may just be that iphone users find it easier to do than those who use the other devices, so it does not clearly indicate “what device is out there and whats not” but it does clearly show that for people on the move, in Adelaide, people are using more Apple devices than anything else. 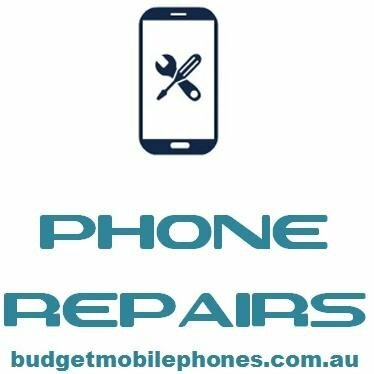 If you would like to subscribe to our RSS feed, you can do so through our technorati iphone repairs adelaide blog profile, or through our own front page iphone repair adelaide RSS feed on our own website.